France The Home of Impressionists. Where Impressionst Started. 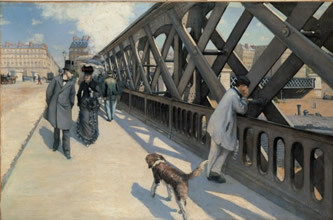 Paris, home of Impressionism, was one of their favorite subjects. Paris was a city unlike any other in Europe, uniquely modern. Where once there had been a cramped medieval town center, the 19th Century reconstruction of Paris resulted in broad metropolis of boulevards lined with ornate buildings, garden parks, cafes, restaurants, and theaters. In the preceding hundred years, Paris had been center stage for political and social movements that had deeply affected all of Europe. The many ways in which tradition had already been challenged and shaken during those years helped make it easier for those to achieve a break with tradition art. In addition to social and political Revolution, the Industrial revolution brought about a completely material life for citizens of Paris. 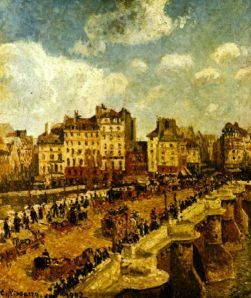 With its railroad stations, massive steel bridges, monumental buildings, wide boulevards, public parks, and restless crowds, Paris was an ideal birthplace for a new kind of art. The Life of Ordinary People. 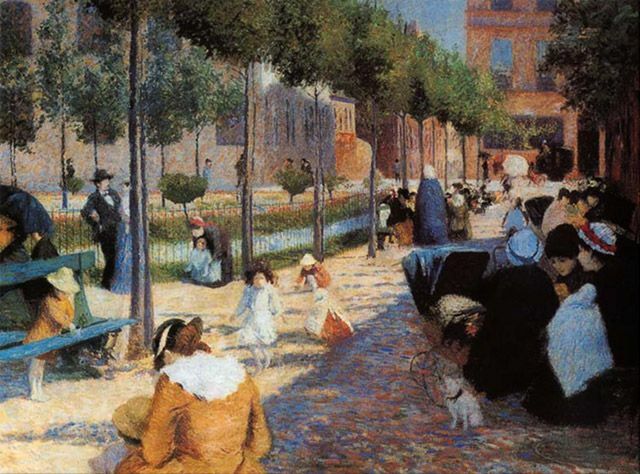 The Impressionists documented the life of the city, painting how ordinary people looked and spent their time – relaxing in parks, cafes, restaurants and theaters. 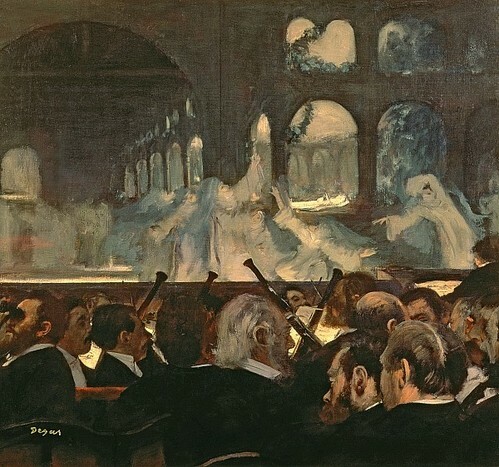 The theater was both a popular pastime and subject of the Impressionists, especially Degas. A careful observer of people, he was interested in the audience as he was in the performers. Between 1853 and 1870 the city was almost entirely rebuilt. Ancient districts were completely torn down and 40,000 modern buildings erected. Impressionism, their Innovations and the starting of a new art Revolution begins. To read more about this and continue please click here.